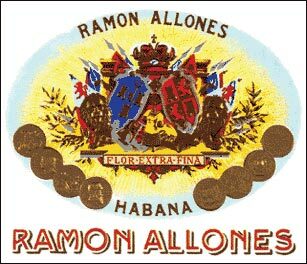 Ramon Allones established his namesake brand in 1845. It is quite an early date of the history of Habanos. The cigars have stylish design with specially developed sizes and shapes. In addition to some machine made cigars this small brand also produces legendary hand made cigars in a very limited quantity: Gigantes, the 8-9-8 and the Specially Selected. The 8-9-8 cigars are also produced in a varnished version "Dalia". The gourmets choose this particular type of "Ramon Allones" cigars.